Cell strainers and filters clear blood samples or cell suspensions after tissue dissociation to remove cell aggregates and tissue fragments. MACS® SmartStrainers and Pre-Separation Filters are the smart solution for the preparation of uniform single-cell suspensions. Not just cell strainers. 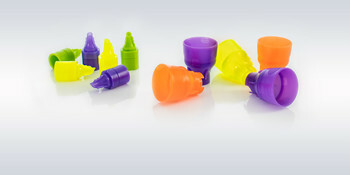 SmartStrainers – stackable cell strainers that fit 15 and 50 mL conical tubes. What is the difference between SmartStrainers and pre-separation filters?